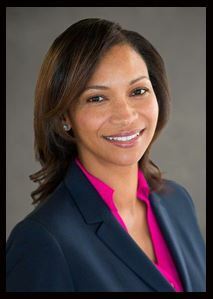 IAC's July Luncheon features Deborah Flint, Executive Director of Los Angeles World Airports. Flint leads the team responsible for returning LAX to iconic status, creating a world class, modern airport for the modern traveler and building a transportation system that will give passengers a first-class, swift, convenient, and reliable way to access the airport. Flint’s responsibilities involve managing the largest public works project in the history of the City of Los Angeles and investing more than $8.5-billion to innovate retail, food and beverage, terminal redevelopment and create an airport wide hospitality mindset. As well, Flint oversees the development and advancement of security policies and strategies that comply with federal security regulations and provide world-class law enforcement for the protection of the public and property. She leads the procurement and delivery of the Landside Access Modernization Program (LAMP,) the $5.5 billion solution to the crowded roadways and curbsides at and around LAX. Elements include an Automated People Mover (APM), Consolidated Rent-a-Car Center (ConRAC), Intermodal Transportation Facilities (ITFs) and comprehensive Roadway Improvements. Working in partnership with the Los Angeles County Metropolitan Transportation Authority (Metro), the system will provide travelers with a seamless connection to public transit. Flint manages the transition of ONT to its new local authority. She continues to position VNY, one of the world’s busiest general aviation airports, as a vital community partner which contributes more than $1.3 billion each year to the Southern California economy. While there, she delivered the $480-milliion BART Airport Rail project after years of effort and challenges; executed strategies to stabilize and reverse passenger traffic decline in a difficult market environment; redesigned OAK’s customer experience to make the airport more competitive; and marketed, developed and negotiated numerous development and investment transactions in terminal renovation and hangar development. Prior to serving as aviation director at the Port of Oakland, Flint held the position of assistant aviation director. Other professional experience include leading OAK's Capital Program in which she coordinated the design, financing and implementation of major airport projects, and participated in the issuance of more than a half billion dollars in revenue bonds. She also served as acting port executive director of the Port of Oakland (maritime). She began her career with the port in 1992 in port finance and advanced through the port’s Finance and Aviation divisions. Flint was appointed in 2012 to President Obama’s Advisory Committee on Aviation Consumer Protection. She also serves on the Oversight Committee of the Transportation Research Board's Airport Cooperative Research Program, is vice-president of the California Airports Council, and serves on the Airports Council International World Board.